Need iPhone 4 repairs Melbourne CBD? 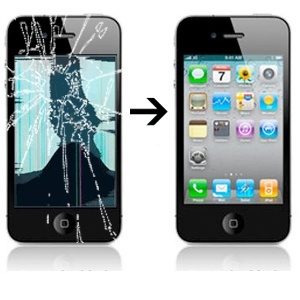 The iPhone 4 is known for easily breaking - something that most iPhone 4 owners probably know from first hand experience. Due to the iPhone 4 being a few years old, the cost for iPhone 4 parts is significantly lower than newer iPhone models. This means that we are able to keep our iPhone 4 repair prices low, without reducing the high quality of our repairs. We like to keep our customers happy at Fixspot, and low prices are just one of the ways we do that. We also offer super speedy repairs, with repair times of 30 minutes or less for minor repairs. We fix your phone on the spot at Fixspot - and thats a promise. Another way we like to keep our customers happy is by making it easy for them to come in store for their phone repair. Our location is right in the heart of Melbourne's CBD on Swanston Street. We are less than 5 minutes walk away from Flinders Street Station, and 10 minutes walk away from Melbourne Central train station. For more details on how to find us or contact us at our Melbourne CBD branch, please see our Melbourne contact page. If you need further information on our iPhone 4 repairs Melbourne CBD, please don't hesitate to contact us.